There are an increasing number of professional applications for spot or maintenance mopping, dedicated to keeping a visually good appearance to floor surfaces in high profile environments. 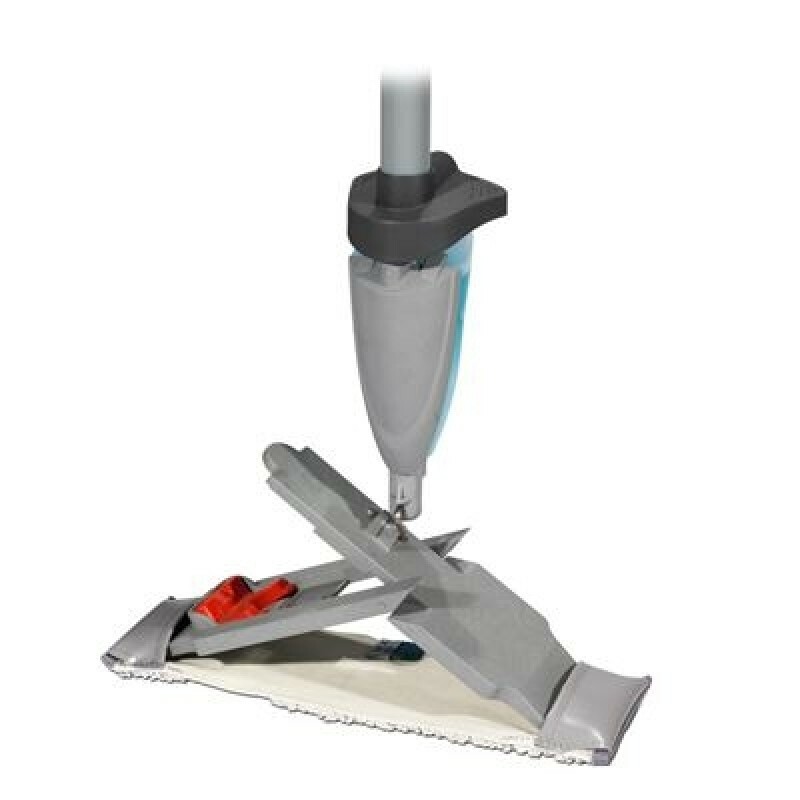 The SprayMop Master starts with pre-wetting the clean mop before use and simply using the on-board liquid spray system to maintain the level of dampness needed for the specific application. 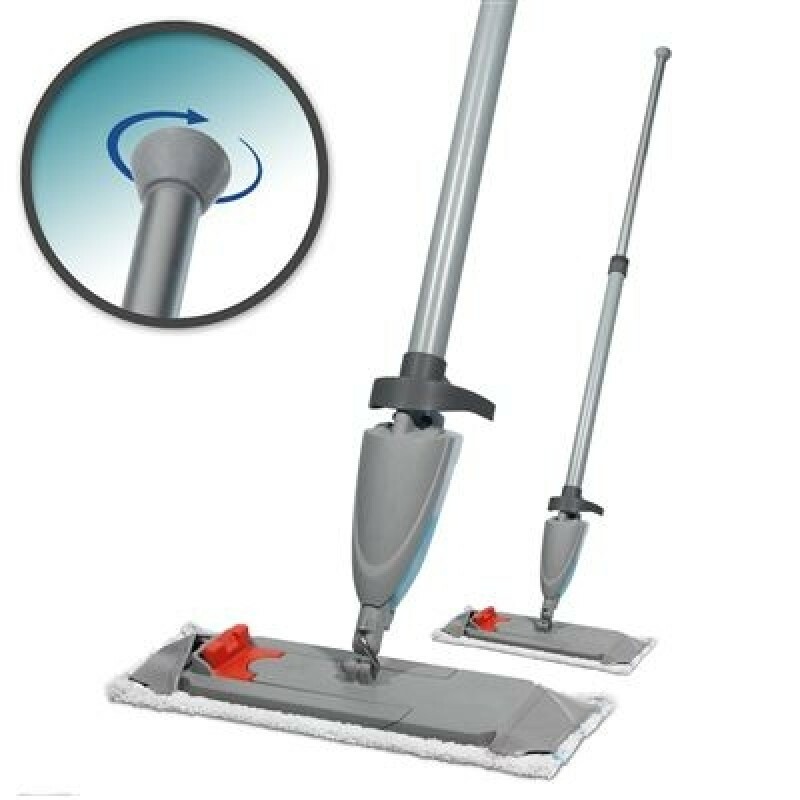 The correct flat mopping technique is to always work backwards toward the exit so as not to immediately walk over the newly cleaned surface. The SprayMop sprays behind the mop head (so it is absorbed as it passes over the liquid). This is the correct way to spot clean. Two systems are available for either Velcro (SSM-40V) or pocket (SMN-40P), Nylostripe mop heads both achieving the same high standard of performance. 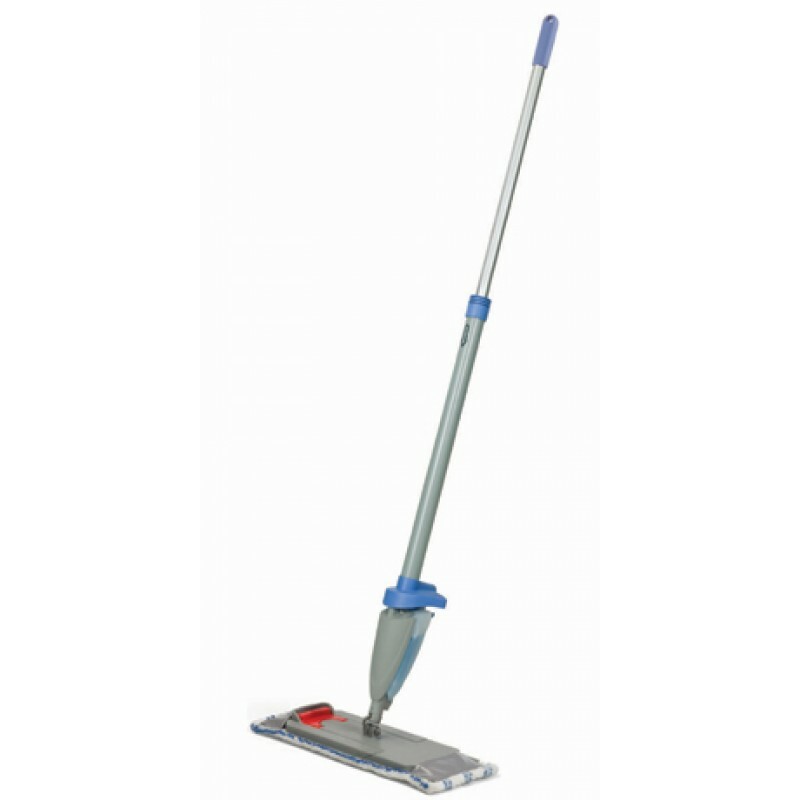 • 400mm Pad Size - Large enough for quick cleaning, yet compact enough to clean in tight spaces. 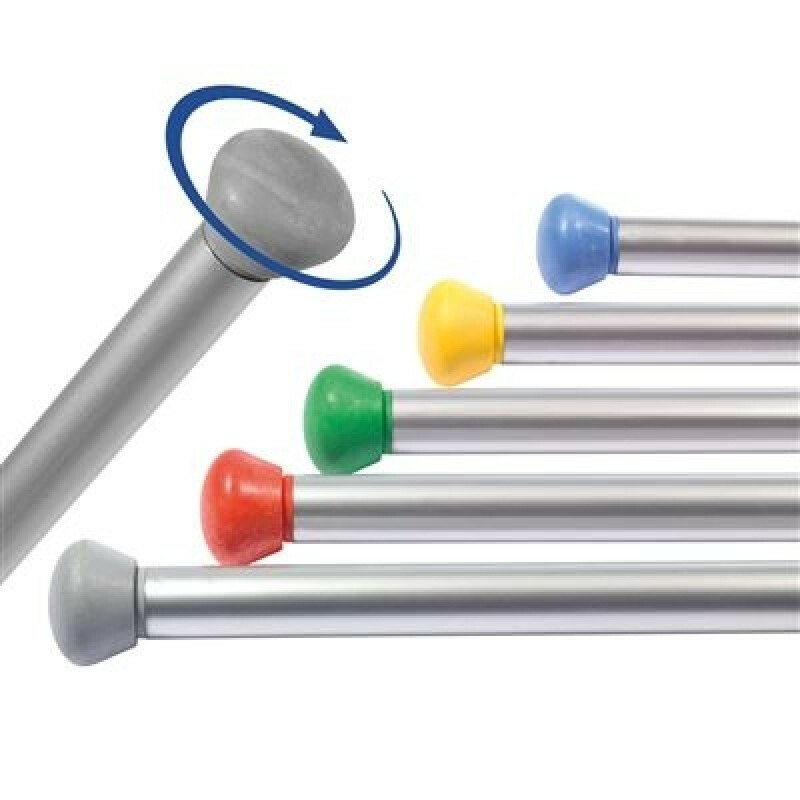 • SpinTec Colour Coded System - Professional cleaning in comfort with the ergonomic rotating hand-hold. • 400ml Spray Bottle - Clean floors with no need to refill. • Choice of Mop Head Fixing - Choose between velcro fixing (SMM40V) or pocket fixing (SMM40P). 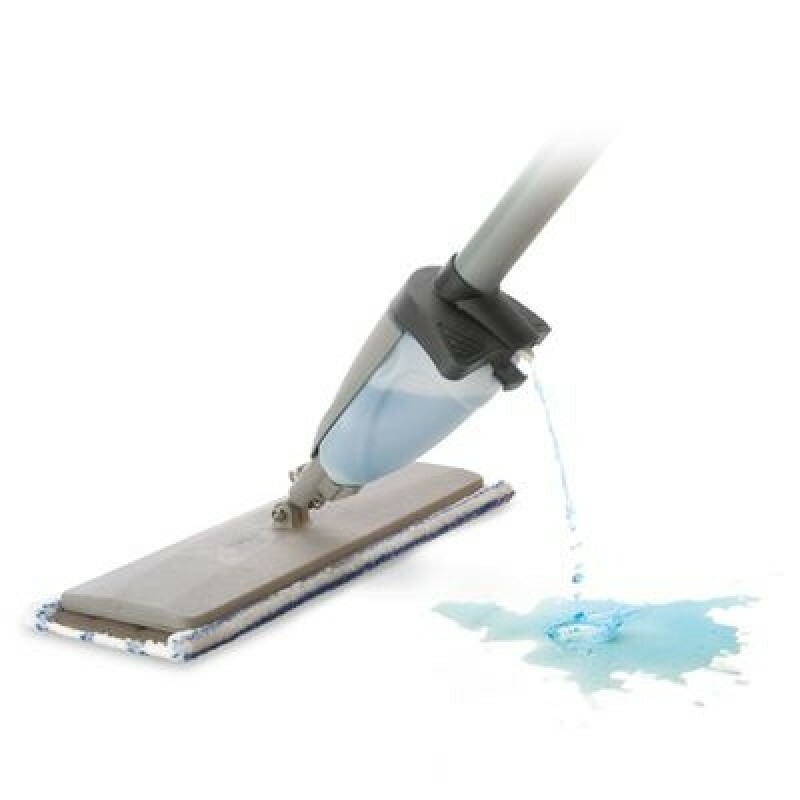 • Ideal for Spot Cleaning - Perfect for quickly cleaning spills and marks without putting significant amounts of water on the floor. There are an increasing number of professional applications for spot or maintenance mopping, dedicated to keeping a visually good appearance to floor surfaces in high profile environments. The SprayMop Master starts with pre-wetting the clean mop before use and simply using the on-board liquid spray system to maintain the level of dampness needed for the specific application. The correct flat mopping technique is to always work backwards toward the exit so as not to immediately walk over the newly cleaned surface. The SprayMop sprays behind the mop head (so it is absorbed as it passes over the liquid). This is the correct way to spot clean. 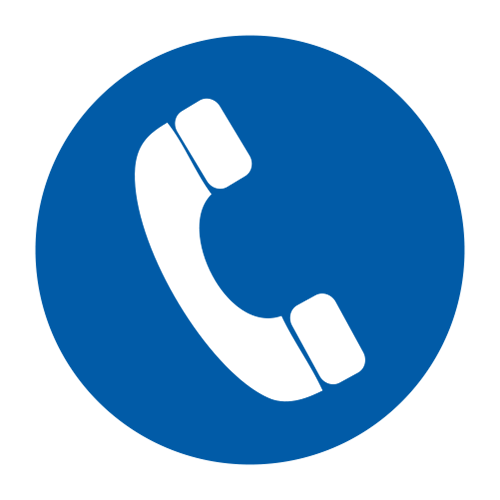 Two systems are available for either Velcro (SSM-40V) or pocket (SMN-40P), Nylostripe mop heads both achieving the same high standard of performance. 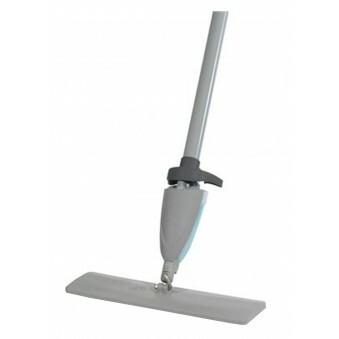 • 400mm Pad Size - Large enough for quick cleaning, yet compact enough to clean in tight spaces. • SpinTec Colour Coded System - Professional cleaning in comfort with the ergonomic rotating hand-hold. • 400ml Spray Bottle - Clean floors with no need to refill. • Choice of Mop Head Fixing - Choose between velcro fixing (SMM40V) or pocket fixing (SMM40P). 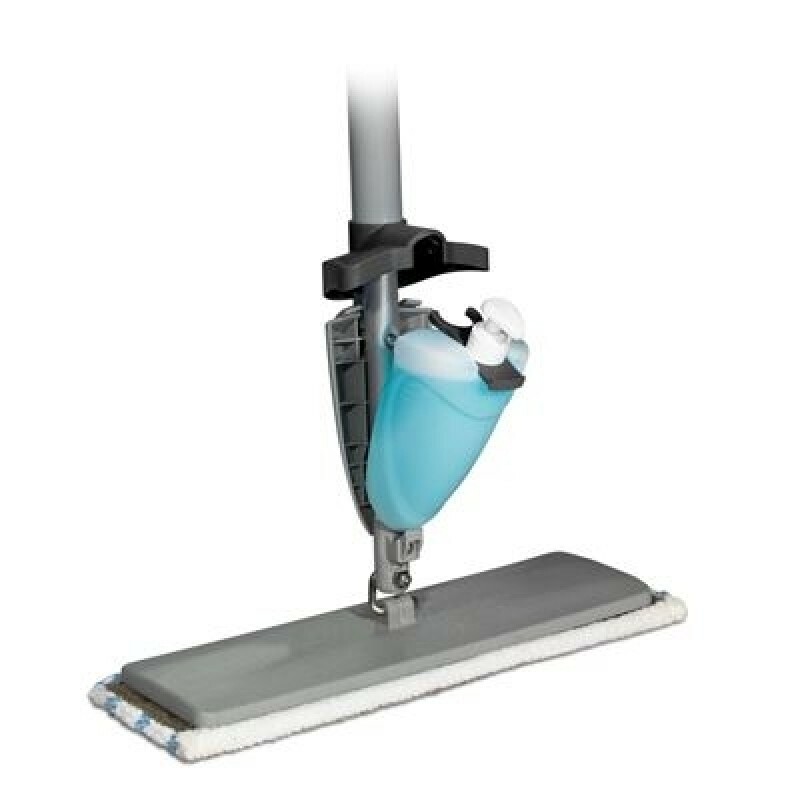 • Ideal for Spot Cleaning - Perfect for quickly cleaning spills and marks without putting significant amounts of water on the floor.